Nearly all the companies and players in cellular agriculture (‘cell ag’) have made a conscious effort to distance themselves from GMOs. While it is true that none of their final products contain genetically modified organisms (the modified yeast are not included in the final product and cultured meat comes from unmodified animal cells), cell ag companies have worked to brand themselves entirely differently from that technology by not even mentioning the word if they can avoid it. GMO stands for genetically modified organism, and it involves the science of inserting the DNA of a gene of interest into the DNA sequence of another organism to produce proteins for a specific outcome. These outcomes can be adding a new characteristic to an organism (like making a plant resistant to a specific disease) or harvesting a protein from the modified organism (like insulin from microorganisms). How did a technology that promises to sustainably produce all the food in the world suddenly become a word everyone is trying to avoid? The answer is pretty simple: Monsanto. Today, Monsanto is one of the most infamous companies in the world. By association, how can GMOs be any different? Where did it all go wrong for Monsanto and GMOs? Today, cellular agriculture needs to learn from Monsanto’s mistakes. This article will explore what went wrong for Monsanto (and, consequently, GMOs) and what cellular agriculture can learn from their experience. When chemical company Monsanto first released their herbicide-resistant soybean crop in 1994, they thought they were doing something great for the world . 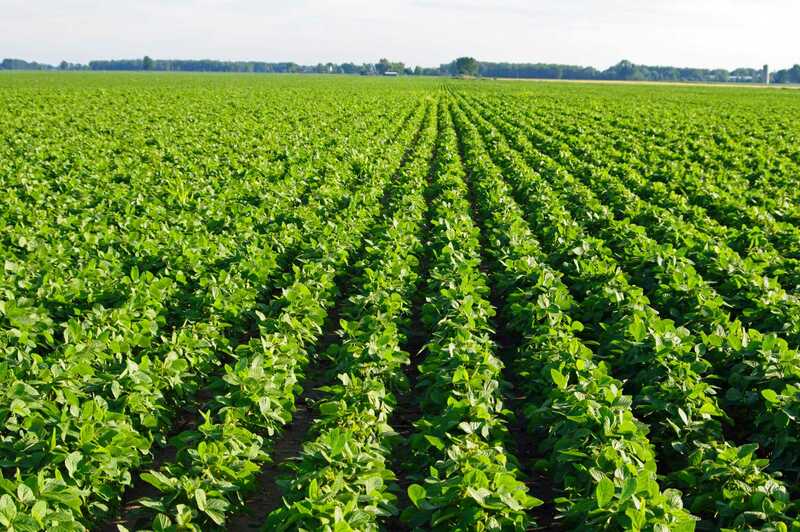 By genetically modifying soybean to be resistant to a specific herbicide (conveniently to the one Monsanto sells), farmers would not have to worry about harming their crops while getting rid of weeds in their farms . And this was just the beginning. What else could they do next? With this great technology, Monsanto spent their resources on educating farmers on the benefits of using their genetically modified crops and how the crops would make farming more efficient. Monsanto didn’t bother to promote or educate the general public about their crops . And that’s where the problems began. Monsanto did not believe it was their responsibility to educate the public and general consumer about their new food technology. They likely believed this task should be left to food companies, not the company that produced the genetically modified seeds . This led to a large gap in public information . Are genetically modified foods safe and healthy to eat? How are they made? And what will happen if I eat them? With little public information about the crops and food, other actors filled those gaps — and not to promote a new product or technology that they did not know much about . What emerged was a public that feared a new technology in their food and did not trust the company behind it either. Monsanto did not do themselves any favours either with poor public relations that have helped them be dubbed one of the most infamous companies in the world. Who would support a company that sued the small farmer and then took all of the farm’s profits? Even if Monsanto had clearly educated the general public and the technology wasn’t feared, the public relation disasters that epitomize Monsanto would alone make people wary enough to initially avoid GMOs (and support one of the most infamous companies in the world). Monsanto was also one of the chemical companies that produced Agent Orange for the United States in the Vietnam War. The dangerous chemical had massive health impacts and implications on millions of people exposed to it [1, 2]. There are two big lessons that cellular agriculture needs to learn from Monsanto: transparency and public relations. 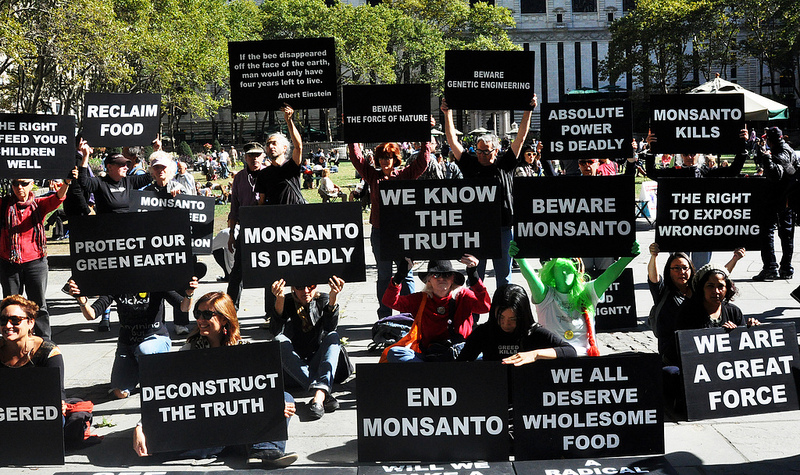 Monsanto was not transparent or open to the public about their new technology. Without sharing that information, the general consumer did not know what was being added to their food or how it was going to affect their health . 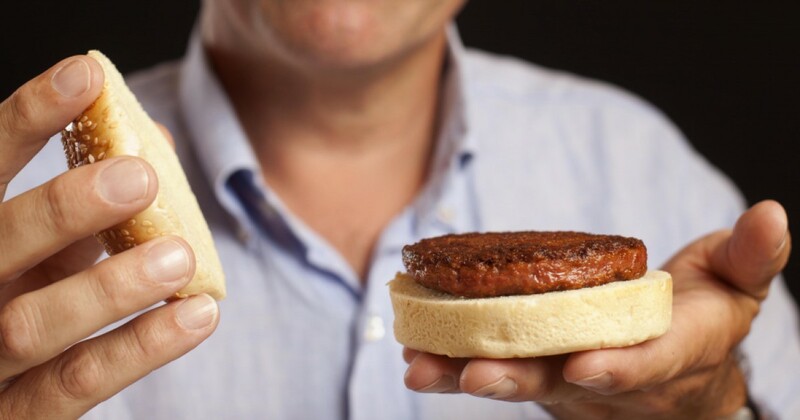 Dr. Post exhibiting the first cultured meat burger. Cellular agriculture is already trying to be as open and transparent as possible. In contrast, all the major players in cellular agriculture are clearly making an effort to share and show their overall technology and the processes involved in making animal products via cell ag [4, 5]. With this so-called “radical transparency” , cell ag will not be vulnerable to the same downfalls that Monsanto had with genetically modified crops — other actors with other vested interests filling in the large gaps in public information. The public will also be less afraid of a new technology (and the resulting animal products) if kept informed and updated with the latest news as well as the status in regulatory approval. At the recent DLD conference in Munich, a panel about biotechnology and food (including Arturo Elizondo of Clara Foods and Alex Lorestani of Geltor) was asked how their companies could address public concerns and fears of science in food, particularly based on past experiences . Everyone responded about promoting their technology and products to the public as well as informing them why no one should be afraid or against their mission for sustainable animal products. Essentially, the panel was addressing how cellular agriculture was not going to make the same mistakes as Monsanto and avoid the huge public outcry against GMOs — except no one mentioned the word GMO. Today, we live in an anti-GMO era characterized by a fear that originated from the first poorly launched GMO product. It is important to learn from Monsanto’s mistakes. Cellular agriculture is already off to a better start. 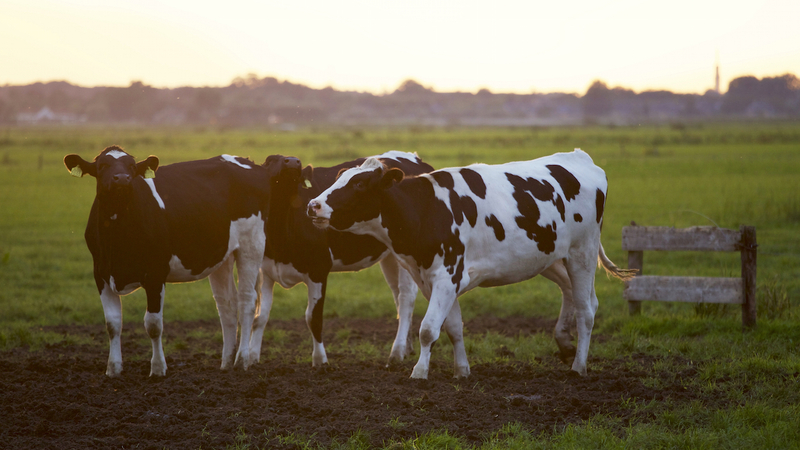 By sharing visions of a more sustainable, healthier, and environmentally friendly animal product, cell ag is working to be as transparent and open as possible . There are still other issues beyond transparency that cell ag companies need to address before reaching the market. Directly addressing people with apprehension and concerns is an important step to ensure that everyone is heard and is informed (through scientific support, nonetheless) that the product will be made safely and healthily. Anderson, L. Why Does Everyone Hate Monsanto? (2014). https://modernfarmer.com/2014/03/monsantos-good-bad-pr-problem/. Kennedy, S.H., Food Evolution. Film. 2016. Kennedy, S.H., et al., GMOs: Facts & Misconceptions Panel Discussion. 2018. Fleming, A. Could lab-grown fish and meat feed the world — without killing a single animal? (2017). https://www.theguardian.com/lifeandstyle/2017/sep/20/lab-grown-meat-fish-feed-the-world-frankenmeat-startups. Amelinckx, A. Would You Eat Chicken Grown in a Lab? (2017). https://modernfarmer.com/2017/03/eat-chicken-grown-lab/. Paul, E. T. Will You Eat This Yeast-Made Cheese? (2017). https://www.forbes.com/sites/eveturowpaul/2017/02/23/will-you-eat-this-yeast-made-cheese/#58a09e0a702d. DLDConference, Feeding The World With Biotech (A. Lee, M. Viel, A. Elizondo, A. Lorestani, A. Kopelyan) | DLD 18, in DLD 2018 Conference, DLD, Editor. 2018. 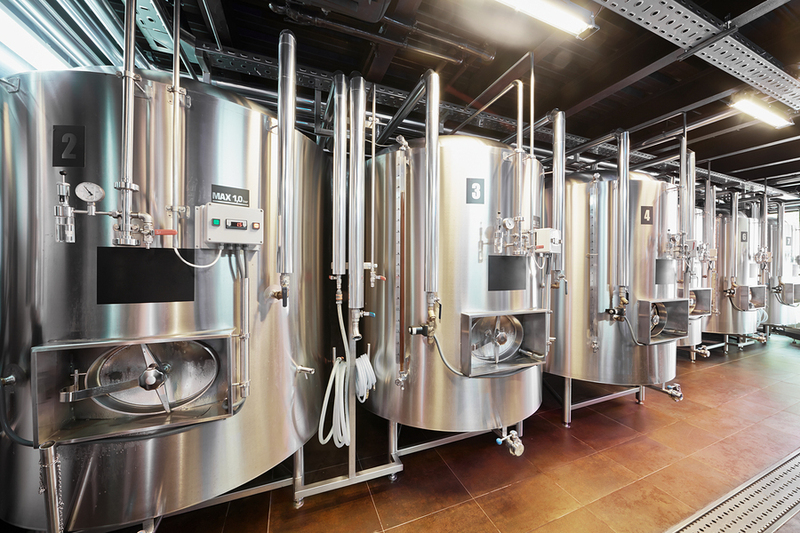 Hoogenkamp, H. Cellular agriculture shows future potential. Fleischwirtschaft International 31, 46–49 (2016).